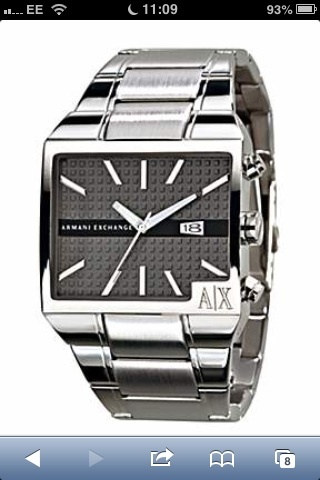 This stylish mens Armani Exchange Smart watch with a high-shine look in stainless steel features a striking rectangle case shape with a clear dial. Features include high-visibility silver baton hour markers, date function, dark grey dial colour and is powered by a quality Japanese quartz movement.The watch fastens with a stainless steel bracelet. I loved this watch. My boyfriend was so happy. The watch is a size for a man. Lovely silver colour and big screen. Very happy with the quality. The delivery time was great,well packaged and presented.The watch isvery very good qualty and I am very pleased,Thank you. Glow in the dark aspects on the hands. Exactly as photo and description. Nice looking watch and not to heavy.perfect gift for my sons birthday. Great watch for very reasonable price! Thought it would be very heavy but much more comfortable than I believed it would be. Nice smart affordable designer armani watch with great looks and style. Looks like a more expensive watch than it really is. my husband. He loved it, classy looking and eyecatching just like him! Looks professional, ideal to wear with suits. watch is a very nice peice but larger than we thought but we shall be keeping it ..
Greaty product for a great price. Will surely be using the site again. Love the bold image the watch give and the smartness of it makes it a sensible wear with a suit. Needed to replace a square faced watch that I really liked. Found the Armani Exchange..checked size and bought. It is bigger than I thought based on the measurements I used but it is just the ticket. Good substantial weight and solid stylish bracelet. The face is set on a textured, grey coloured, graphic background with easily read analogue divisions, a large date display and luminous hands. Functional, masculine, stylish, looks and performs the part, no more need be said! Very pleased with watch,I will be wearing it for more formal occasions as it looks so smart .I like the design of the face and the bracelet fits comfortably ,I would recommend this watch . the watch was great, nothing bad i can say about it, its well worth the money it looks exactly like the photo shown. im sure my partner will love it, i would recommend to anyone . Smart looking watch,chunky and robust, like the fact it can be worn in water, modern looking which appealed to my 20yr old son. Metal watch strap, big clock face, unusual design. This watch was bought as a 39th birthday present for my brother. He loves the watch and now never takes it off! Great purchase! My hubby absolutely loved it for his birthday. Would patronise you next time for definite. I bought a mens armani smart watch and to be perfectly honest with you it lives upto its name! It looks amazing on and the style, colour and size is perfect. Its a lovely pewter colour and the face is a lovely black contrast. To be fair, it is slightly heavy but that reflects in the quality of the watch. Would recommend to anyone! Arrived exactly as the picture shown, looks really good on. A great watch, is a perfect gift. Love the style square face its different to the normal round faces you get. Would reccommend this product. I bought the watch for my husband. It looks lovely! Its quite large, which is how he likes them. Its also quite light for its size. I brought this gift for my husband and he loves it. The size and quality. He first wore it new years eve and everyone in the pub asked were he had got it from and i passed your site onto around 50 friend and family who all said will be going to have alook. Fantastic watch for a great site. I purchased this as a christmas present for my man and was impressed with the website and the fast delivery. As others have said the watch itself is larger than it appears in the photo but it is good quality and seems well made, he liked it so we were happy! Fantastic watch, it has good weight to it so feels very good quality when you wear it! 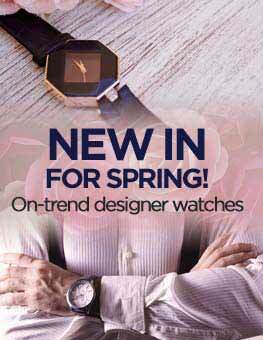 If you after a watch to make a statement then this watch is for you! with a chunky face so if you dont want a big watch this is not for you! Bottomline- its stylish, its smart and its truly a mans watch ! Great buy! Amazing quality and price very surprised and will be using this site more often. My boyfriend is extreamely happy with this purchase and he is wearing it every day. Bought this watch as a gift for my partner aged 25, Watchshop was by far the cheapest for this product and many more products! For the price of this watch it was perfect, looks alot more expensive. 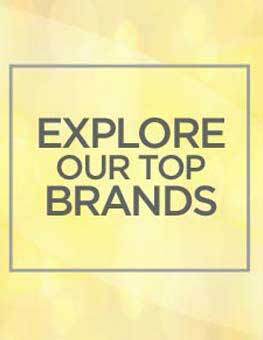 Overall a excellent product and excellent customer service. Would highly recommend. I really liked the watch,i bought it for my birthday, he loved it , fast delivery, good packaging. Its really original, excellent!!!! WOW!! this Armani watch is James Bond style.....Classy and has the X factor lol. sounds chessy but the watch is WICKED!! Who needs to be a Millionaire when you can get quality at these prices and looks a lot more expensive. Excellent service!!!!! Package was delivered the next day! 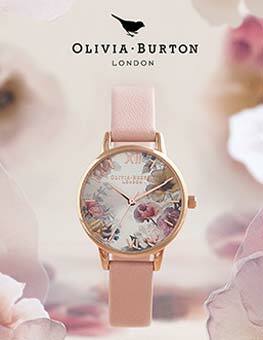 Lovely watch! Would definitely come back! Ive not removed the watch from its box as its a Christmas gift but I have looked at it and it is as described. Its a nice chunky watch and very smart. Sorry I cant be more descriptive but its not been worn/used yet so I can only comment on its general appearance. Bought this as a gift for my partner, absolutely stunning watch. Nice size and looks more expensive than actually is. Would recommend. Nice watch, looks very smart and represents good value for money, as it looks more expensive for it`s price. Very masculine. Was all I hoped it would be. Large bracelet and watch face, which is very practical. Will be proud to wear it. Looks very expensive. Great value for money. Would recommend to buy. Fantastic watch, service is unbeatable will definately go back next time i need watches. This watch is a killer. Superb in looks and although dial size is big, its very comfortable in my hand. Had to get a few of the links adjusted, great fit now and very comfortable to wear, the colour makes it! Wasnt sure which one to get but Im glad I chose this, goes well with anything. Love this watch, very stylish. As other reviews have said, it does have a large face and it is chunky, but it looks very nice when you wear it. For a watch of this size, it doesnt feel heavy on your wrist. If you are looking for a smart looking watch, you cant go wrong with this one, highly recomended. I bought this watch for my partner as I loved it when I saw it on your site. Well the watch it even nicer than expected when it arrived. Its gorgeous large face and solid frame. 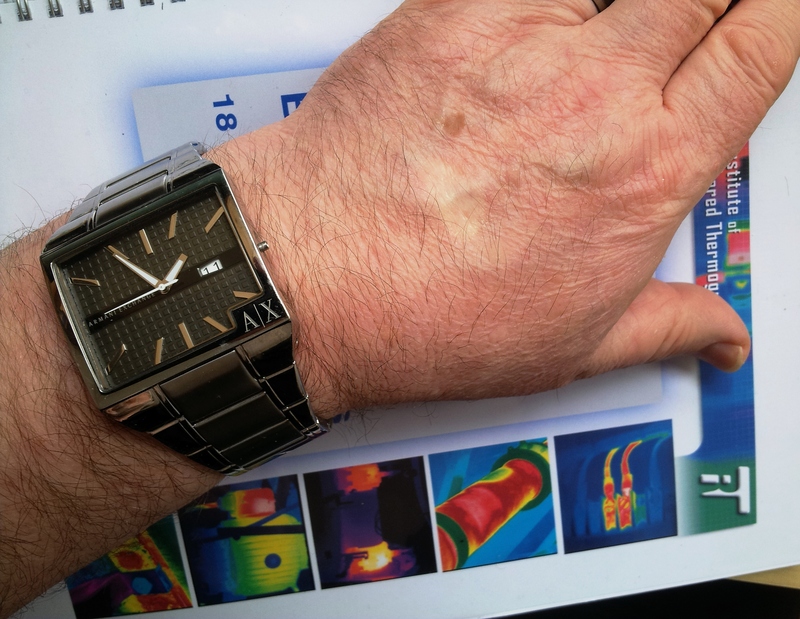 My partner loved it, including the fact it fitted perfect with the strap being fitted for his wrist, due to links being removed prior to despatch. Final word gorgeous. Gorgeous watch. A bit bigger than I expected - but that makes it suitable for both professional and casual wear. Id say it would suit someone in late 20s early 30s due to the classic style. 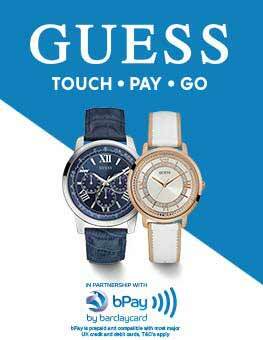 Nice looking watch equally at home with smart or casual clothes. Quite chunky and nice weight to it. Removing/adding the bracelet links yourself is quite easy with the correct tools, but a pain without. My only complaint is that you cant use the micro adjustments on the bracelet clasp. You can remove/add links to get an approximate fit, but need the micro adjustments to make it fit perfectly. There are actually 2 holes for this but for some inexplicable reason the link holding the pin is wider than the clasp making them unusable. Apart from that Im very pleased with this watch. i had to have the watch extended to 240mm braclecet which was done free of charge. yes the watch is big but I have a problem usually getting watchs that look right as I have big arms .so this was excellent and a great price. 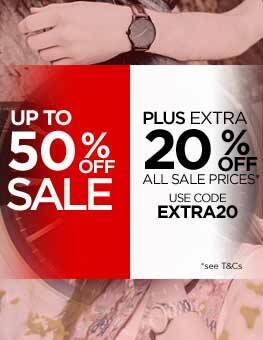 I advise anyone to go for it as it a stylish dial and bracelet strap. 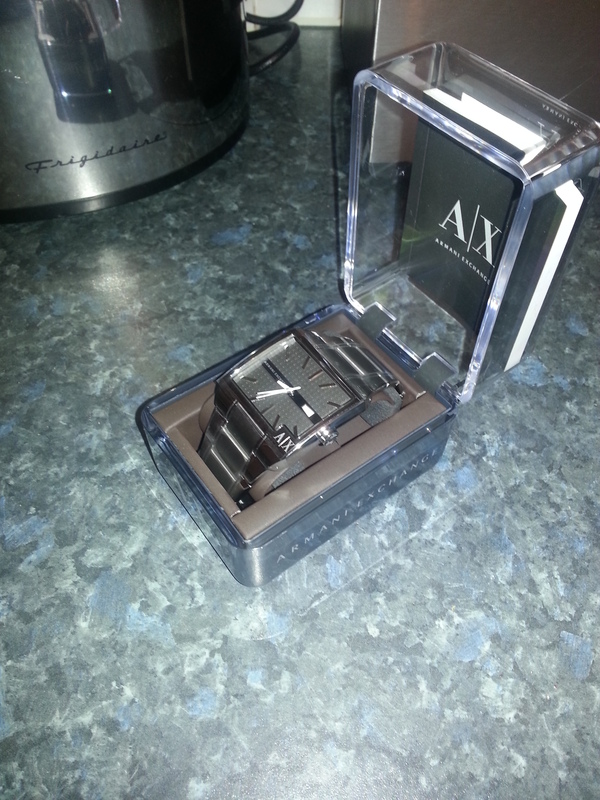 I purchased this watch for my sons 21st birthday and was delighted when it arrived in a nice presentation box. It is quite heavy with a solid quality feel, it has a nice large face that is very smart yet not overly showy, a quality strap complements the face well. Overall a very nice watch indeed. Bought this for my husband for fathers day. Unfortunately, it has a VERY big face and even although my husband has large wrist, it still looks big. Unsure whether sending it back. Lovely watch but face is huge! Really really please with this watch. I chose this as a present for my 21st, I wanted something that was for special occasions, and this is perfect. The face is slightly bigger in real life than the photos make out, but dont worry, when its on it looks great. Its a nice chunky feeling watch, but not too heavy, and it feels and looks like you have paid a lot more for it. Im really happy with this watch and would highly recommend it! The watch looks very stylish, does feel a little bit heavy at first, the numbers on the face are very easy to see. It did need another link taking off even though I measured around my wrist, but on the whole a very nice watch. Excellent watch, Large clear face with that brilliant styling that you would expect from Armarni.Excellent Bracelet is well madeand chunky enough to be both stylish and easily noticed by others. The watches bracelet was rather large but then again it is an adults watch but the bracelet was easily changed with minimum fuss. Really pleased with a great product and glad i made it my chooice. This watch i saw online and really liked the design and looked very modern and trendy also the person i bought this gift for loved it and was a very unique and different design with the shape the watch looked very classy and more expensive then it actually was and was worth the price and would reccomend this watch to others as i loved it even more when it was delivered, the service was also one of the best and the was a free next day delivery which was a bonus. i am very happy with the purchase and would shop here again for sure. its perfect. watch is a little bit bigger then on the pic but it really looks great and is not as heavy as you think it would be. it was a bday present and my boyfriend really really loved it. the only thing i dont really like ( but it doesnt bother my boyfriend) is that the watch closes very gently. It is very stylish, I loved it from first glance, it gives me exactly the style that I liked to hear in my business! It was better than my expectations, love the product and happy with the purchase. Brilliant watch bought as a gift for my Father, really good quality and modern style. Very happy. i bought this watch as a Birthday present for my boyfriend and he was delighted with it. The watch itself is beautiful and looks exactly like it does on the website. it is slightly bigger than expected but all in all a really good buy. Great watch, lovely looking and good quality. I bought it for a gift for my partner and he loves it. Great value. and the date is easily readable. It is uncomplicated and not crammed with features that are rarely if ever used. Im not one for buying online because things never look like they did on the site but with this watch you get what you see, it looks good on the site and it's no different when you get it. I was concerned also about the size of the watch face however when on the wrist it looks really nice.... Not for men that have skinny wrists lol. For the price a very lovely watch, would defo recommend it. The watch fitted him well as the size was pre-ordered (at no extra cost) before being sent out which was really useful. The service from WatchShop was amazing, buying something on the web and being on the other side of the world can make me nervous, but the whole experience with WatchShop was over and above what i expected. Communicated to throughout the process and my watch arrived within a week of ordering, this is better than some domestic online shops! The watch was everything i wanted. 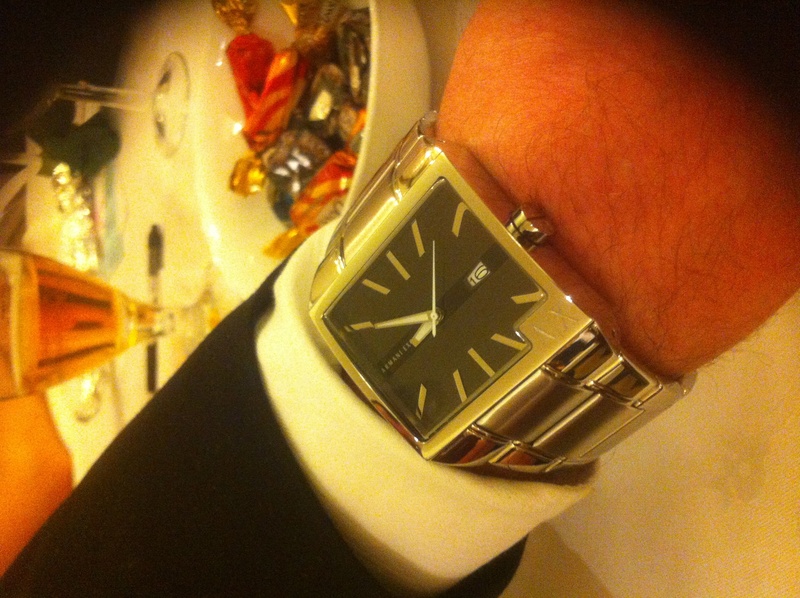 A very stylish males watch and my husband being very tall and broad this watch suits him perfectly. Item bought is of the top quality. The material and style of the watch are excellent. Bitterly dissapointed. I was impressed with the look of the watch when I ordered it online however I think the website needs to give a better description in regards to the size of the watch. I opened it and straight away was taken aback with how big it is! This was supposed to be a christmas gift however I have now got send it back. Very pleased with the watch I ordered for my husband it is really good quality quite chunky if you're wanting a bigger watch and a nice presentation box I would rate it 10/10. the watch I bought was excellent! absolutely beautiful and a 100% perfect for a christmas gift; what I most like about it, is the design itself: it's simple yet ellegant; it looks just like it's presented on those pictures, so you could not be disapointment; I was even more stanned seeing as it was dispatched; worth the price! so you have a real value for the money. This Watch looks good and is simple but nice looking. The face is quite big that is my only complaint. I like that the date is also on the watch face. I would give 4/5 stars. I was impressed with the quality of the watch and it felt nice and heavy. Did not include wrist size but it was easily and cheaply adjusted. The watch was a gift for my stepson who was very pleased with it. Bought this watch for someone special. I intially thought it was a bit on the big side, however he absolutely loved it. He said it was trendy and modern. I think it looks great on and can wear as casual or smart watch. The watch had the letters AX engraved on the clasp, which added to the look. It came boxed very beautifully. The size of the dial is about 1 and half inches wide. The colour of the dial is more on a brown shade rather than grey, but it looks different and unique. I ordered a gift bag with it, however was unable to use it as it had Watchshop written on it, which was not ideal for the occasion, plus it was folded up inside the box. stylish good quality smart watch, can be used both formaly and casualy, good value for money. the product was a nice watch, very classy and came very well packaged. i like the item as it was a nice design and stands out as a bold designer watch. if i was too note dislikes about the product it would be the lack of stamps on the watch strap opener.